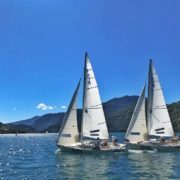 The 2019 match race season of the Associazione Vela Lago di Ledro will be full of events. The registration deadline for all the regattas is set for April 1, 2o19. We are waiting for you ! !